Miami, FL – July 9, 2012 – Bankruptcy and commercial litigation attorney Adrian C. Delancy, an Associate with the law firm of Markowitz, Ringel, Trusty & Hartog, P.A., has been elected President of the Board of Directors of the Miami Bridge Youth and Family Services. Delancy practices primarily in the area of bankruptcy litigation focusing on Chapter 11 business liquidations and reorganizations. 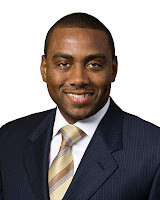 Named a Florida Super Lawyer Rising Star in 2009, Delancy is a member of the American Bar Association, the Dade County Bar Association, the Florida Bar and the Wilkie D. Ferguson, Jr. Bar Association. He is admitted to practice in the United States District Court for the Southern District of Florida, the U.S. District Court for the Middle District of Florida, and the United States Court of Appeals for the Eleventh Circuit. He received a Juris Doctor degree from the University of Miami School of Law and a Bachelor of Science in Foreign Service degree from Georgetown University.